Federal Agriculture Reform and Risk Management Act of 2013 passed both the U.S. House and Senate Agriculture Committees, making it the first FARRM bill in years with the potential to become law. Passed by the House and Senate Agriculture Committees In mid-May, the Federal Agriculture Reform and Risk Management Act of 2013, a.k.a. “FARRM Bill,” is now on the House floor for consideration. The current farm bill is set to expire Sept. 30, and the replacement legislation seeks to deal with economic issues caused by its predecessor. The 620-page bill touches on nearly every aspect of food and fiber production in America, according to the House Committee on Agriculture. It also contains provisions for conservation efforts, agricultural research and development and food stamp distribution. Much of the language focuses on federal programs, but state and local governments are also included. The Brown Amendment, included in the approved markups, would give the U.S. Department of Agriculture (USDA) Rural Development the ability to prioritize 20 percent of funding to projects identified by counties and their partners, ensuring federal funds will be allocated properly, according to the National Association of Counties (NACo). The McIntyre Amendment was also an important inclusion, according to NACo. The amendment makes technical assistance an eligible expense under USDA community facilities programs. The language included ensures that local governments are eligible to receive and provide technical assistance under the program. Additionally, the Healthy Food Financing Initiative included in the bill will authorize $125 million in appropriations for the USDA to incentivize the construction of grocery stores in communities considered “food deserts,” or areas where access to affordable, healthy food is limited or non-existent, according to NACo. Cutting nearly $40 billion from the previous bill, including the immediate ten-year sequestration cut of $6 billion. Eliminating or consolidating more than 100 programs. Eliminating direct payments to farmers regardless of market conditions. Reforming safety nets, and eliminating programs that paid farmers who were no longer producing. 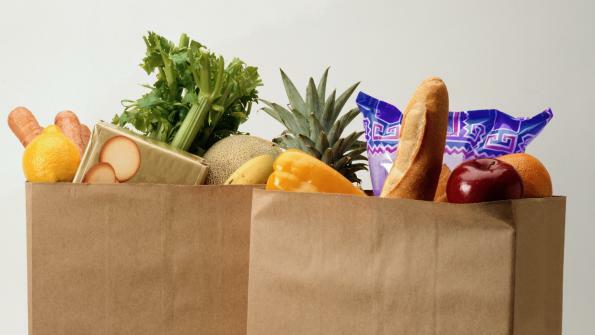 Reforming the Supplemental Nutritional Assistance Program (SNAP), the first since 1996. Consolidating 23 conservation programs to 13. Adding regulatory relief measures to mitigate pressures on farmers, ranchers and rural communities. Previous iterations of the bill failed in 2011 and 2012; however, this version looks promising. Sen. Amy Klobuchar (D- Minn.) told trade publication Agri News she is confident the bill will pass this year. Klobuchar reported the bill has strong bipartisan support in the senate, eliminates direct payments and strengthens crop insurance while saving billions. But some groups feel the bill won’t do enough to cut costs. Agricultural Research Fellow at the Heritage Foundation, Daren Bakst, blasted the bill in an editorial in the Kansas City Star saying it “continues to treat agriculture like it was 1933, not 2013.” The result, Bakst says, is that billions of taxpayer dollars are wasted. He suggests dividing the legislation into smaller components, pointing out that issues such as food stamp policies should not be addressed in agricultural legislation.